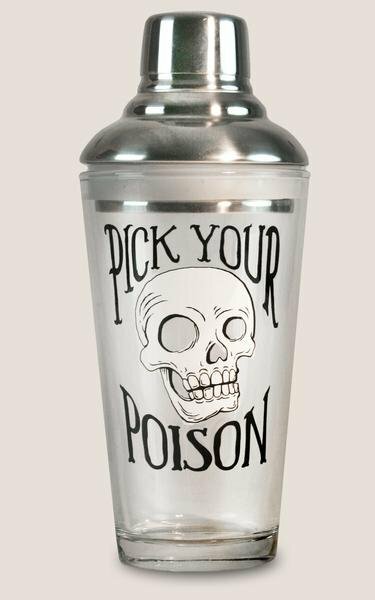 Now you can mix the cocktail of your choice, our “Pick Your Poison” shaker is the perfect way to end the day with a frosty adult drink. 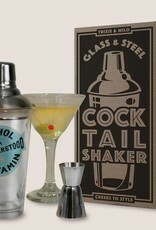 Now you can make your own cocktails with this original design, 1950's style glass cocktail shaker. 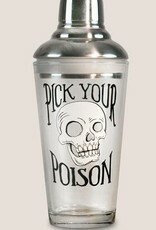 Weighted base glass (1 pint capacity) made in the U.S. of A. Stainless steel lid, with silicone seal, made in China. 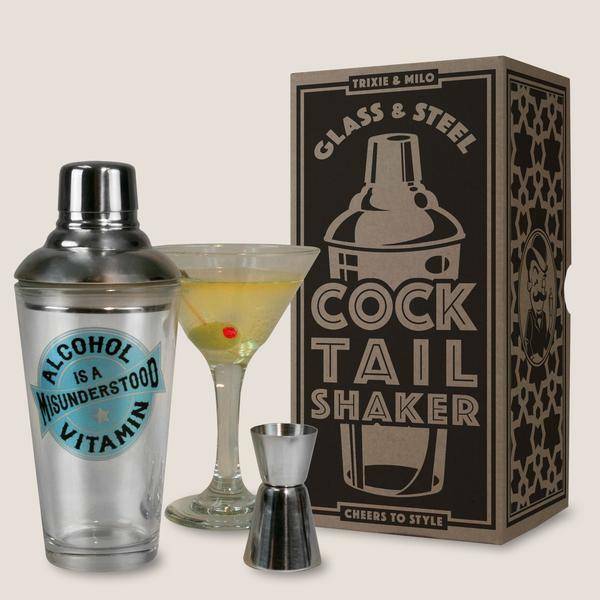 Every cocktail shaker comes in vintage style gift box. Dishwasher safe (and lead free! ).